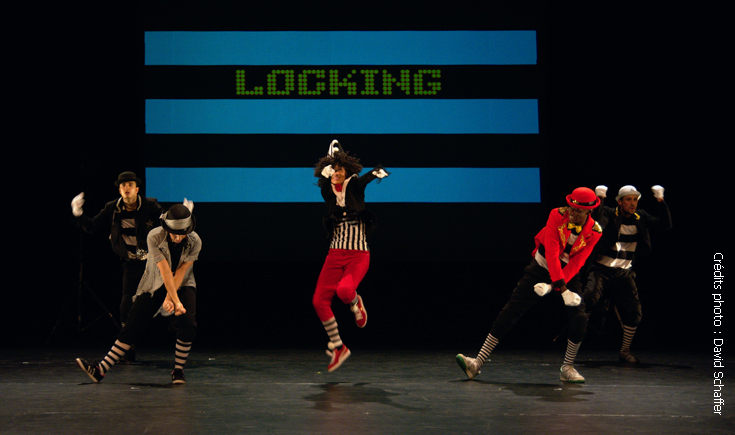 Choreographic piece for everyone from the age of 7, co-written by Sérevine Bidaud and Marion Aubert. 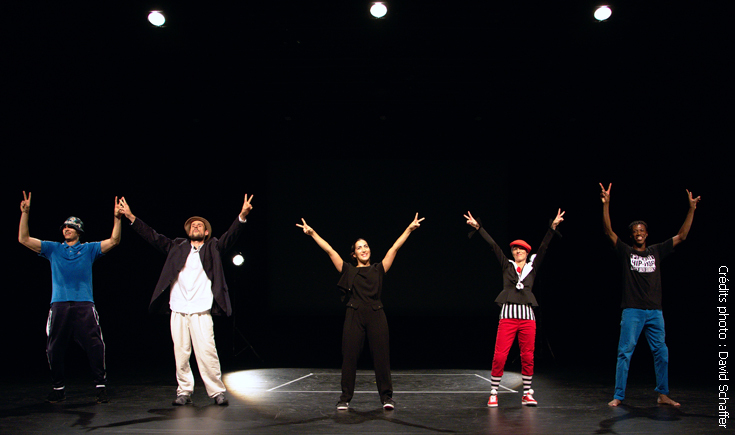 “Hip-hop, it is really serious?” is a committed piece full of humor in which the choreographer Séverine Bidaud, relates her discovery of hip hop with ease and derision. 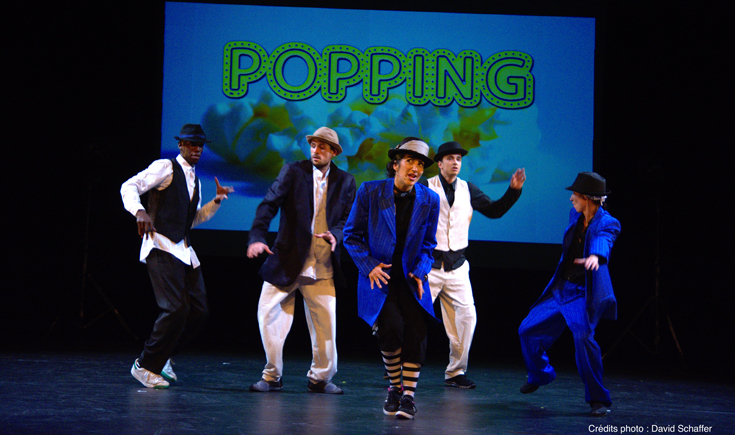 A show halfway between dance and theater in a vibrant and offbeat staging. 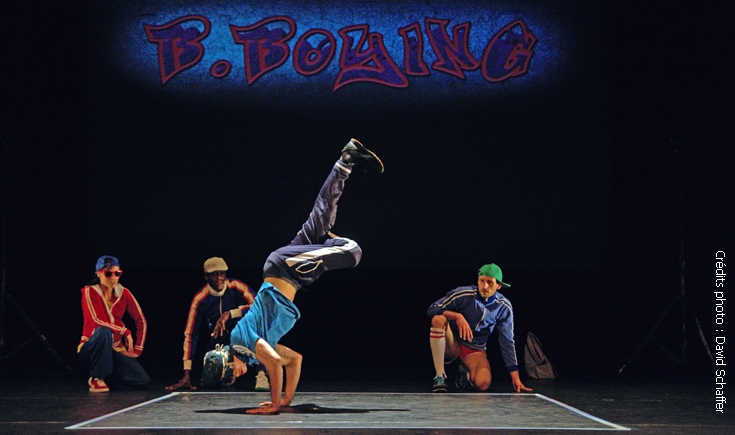 On stage, the troupe made of five dancers makes every effort to convey its passion with authenticity and sincerity. 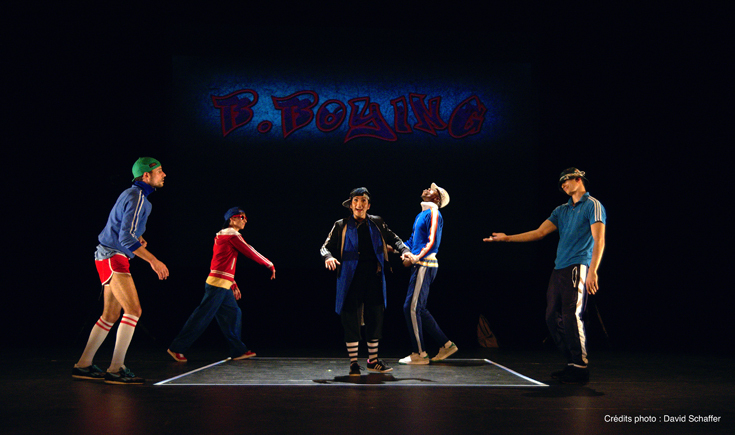 As a funny and lively lecturer, Séverine Bidaud quotes the main dancers who influenced her own artistic career. These mythical figures that have been chosen wisely enable her to retrace the origin of the hip hop movement, its roots and its influences, from its emergence in the United States in the 1970s to nowadays. Locking, popping, break… Based on archival images, different techniques of hip-hop dance are thus introduced in a playful and educational way. 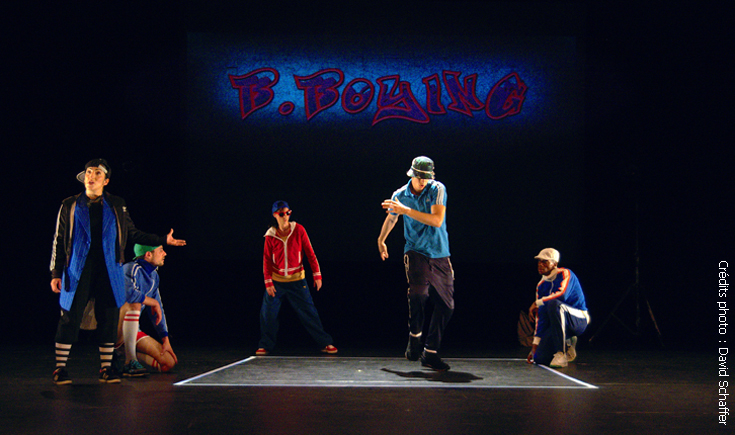 Related through anecdote and technique, this history of hip-hop dance is first and foremost a tribute to those who have trained generations of dancers and who continue to develop this practice. The opportunity for young and old to understand the roots of this culture. This show, which lasts approximately 1 hour may be followed by a 15-minute audience meeting during which the company will be able to answer their questions.